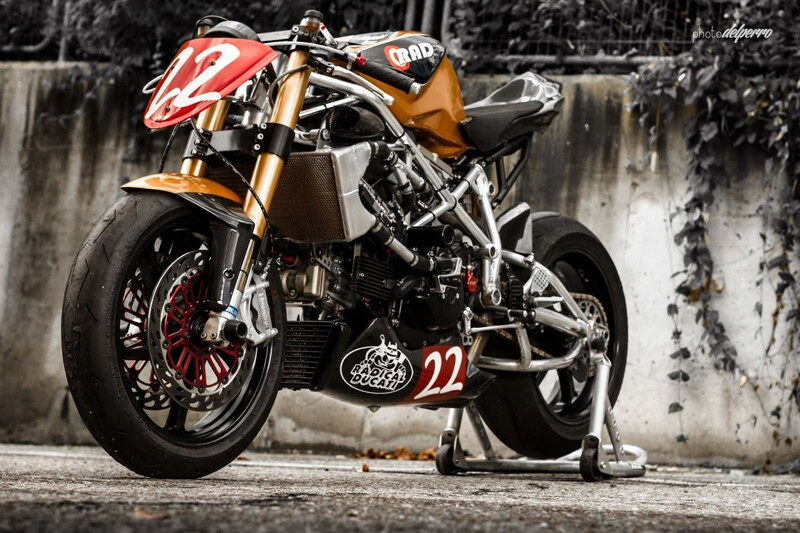 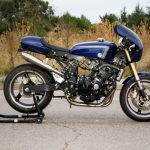 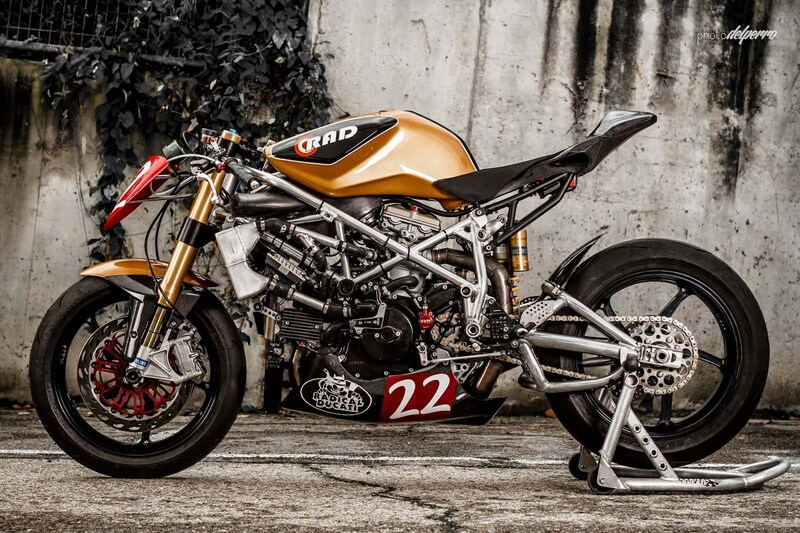 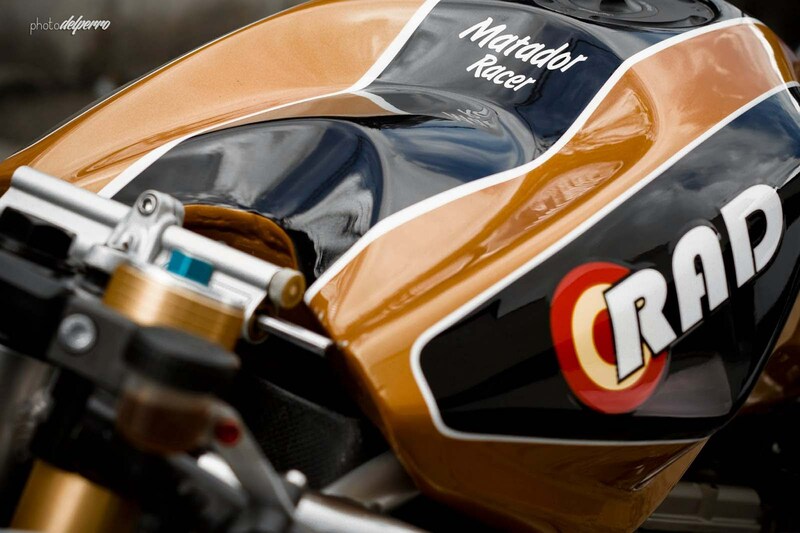 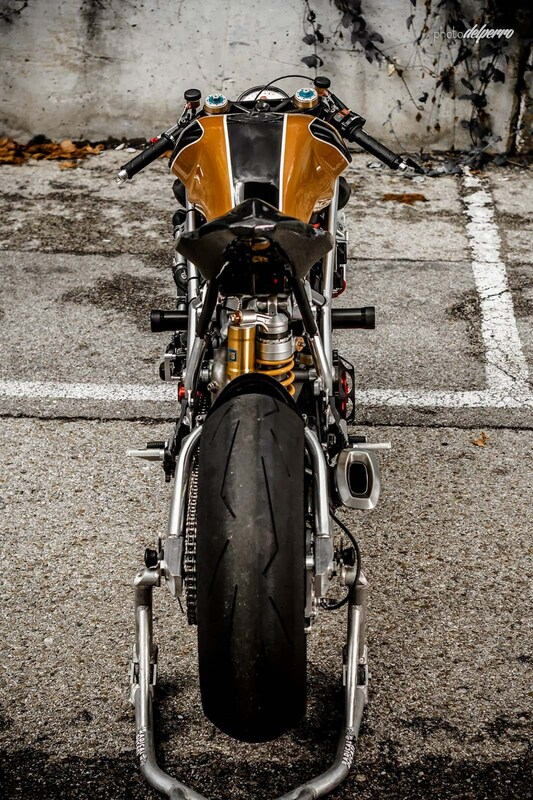 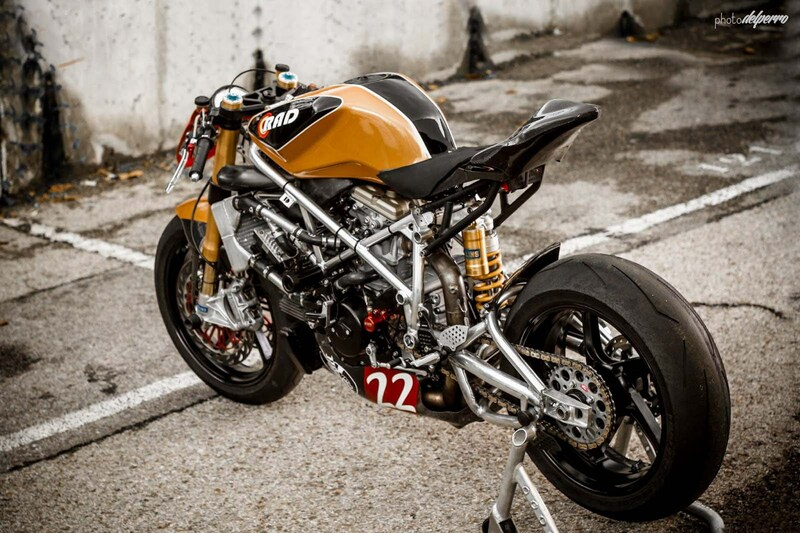 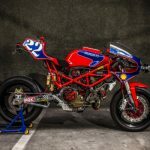 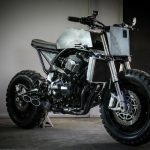 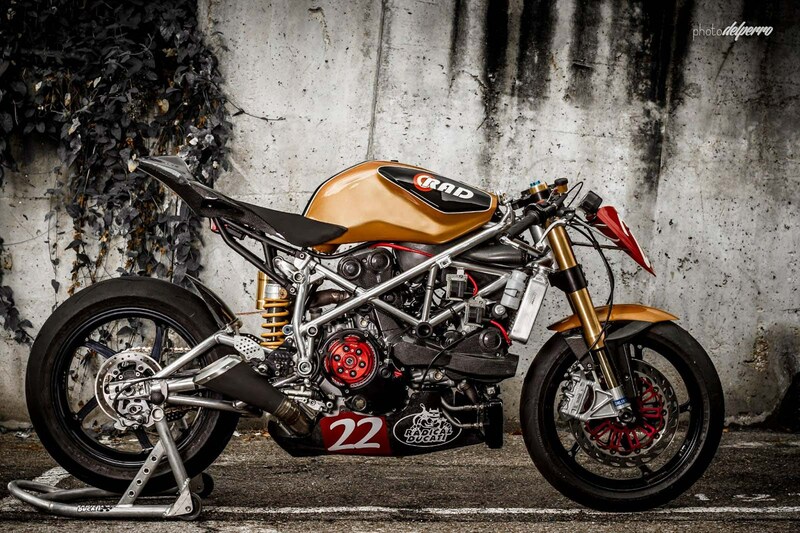 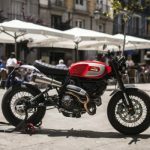 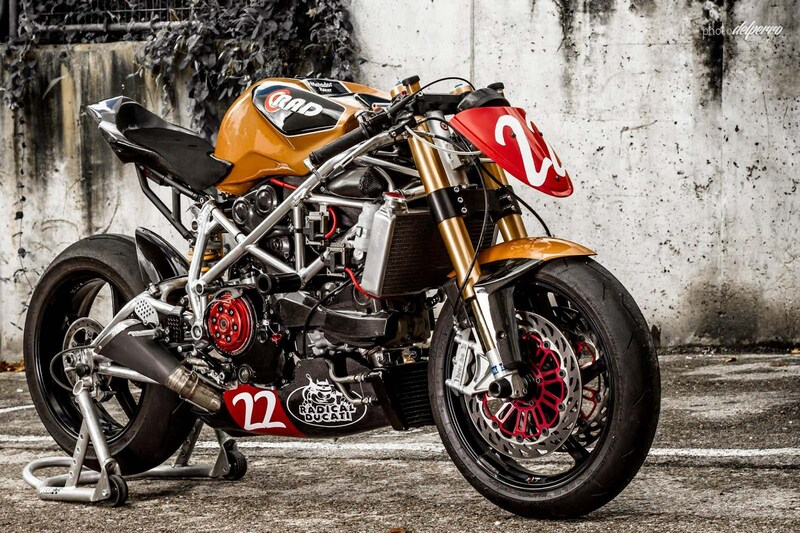 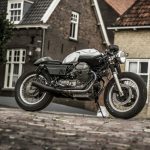 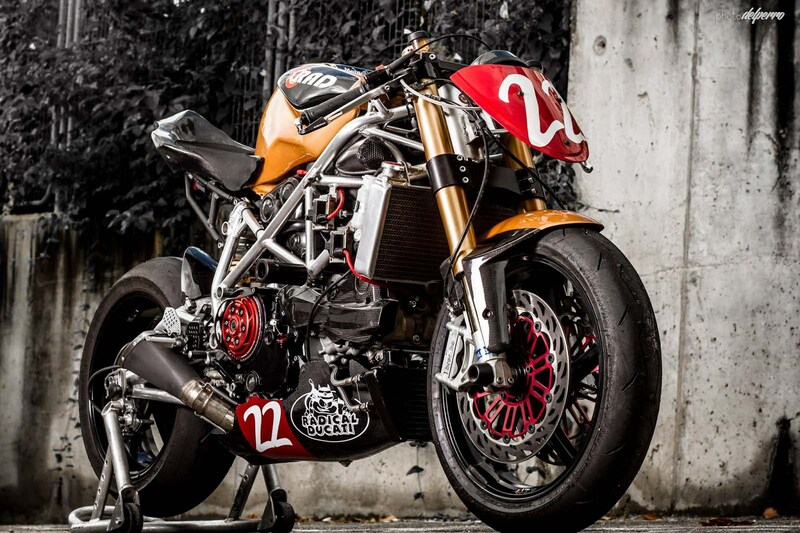 Spanish bike brewer Jose “Pepo” Rosell from XTR, former “Radical Ducati” or RAD is know for his awesome and brutal Ducati builds. 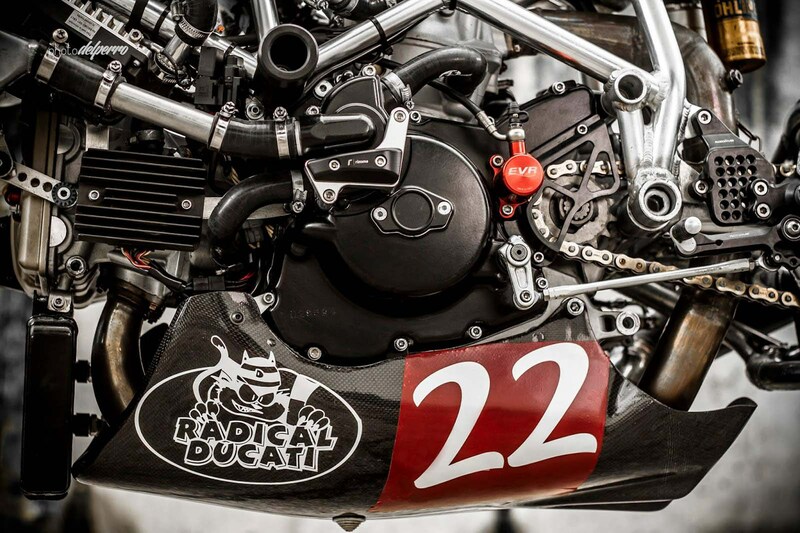 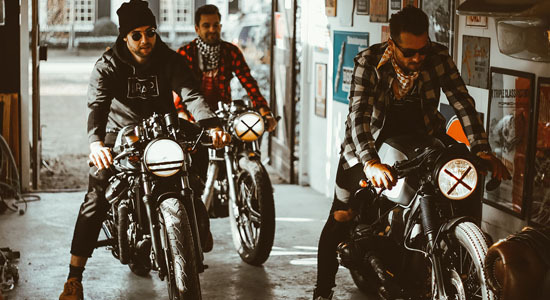 They announced to stop in 2014, but the brand was bought by the French Ducatiamo, so RAD could still build on. 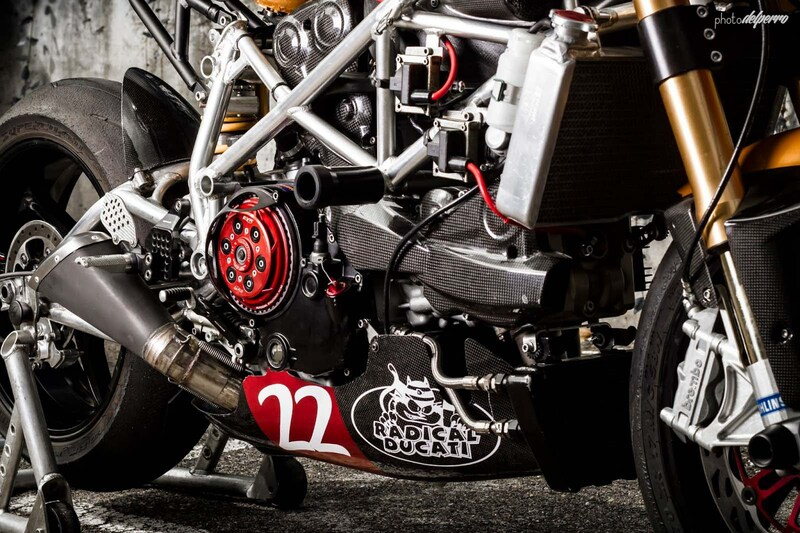 This Ducati 1198 is stripped from a lot of weight and the engine is tuned for some more power. 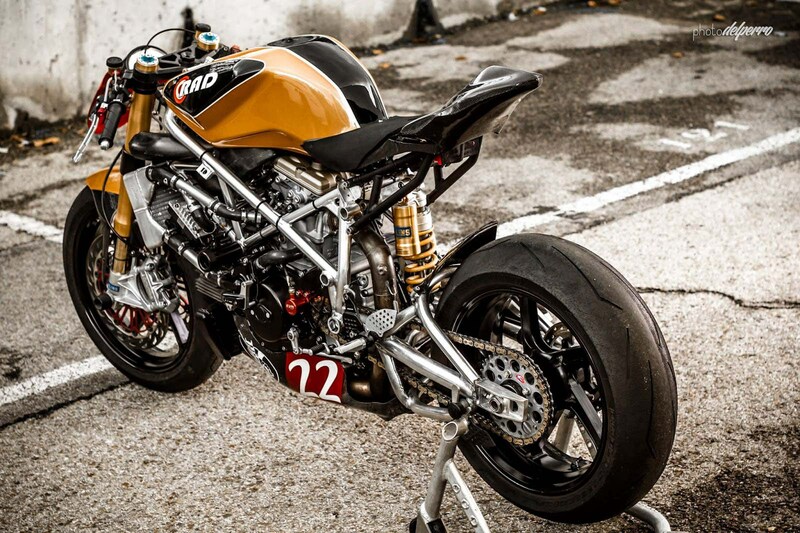 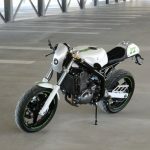 The result is a lightweight superbike of only 138kg and with over 170hp, an amazing power to weight ratio. 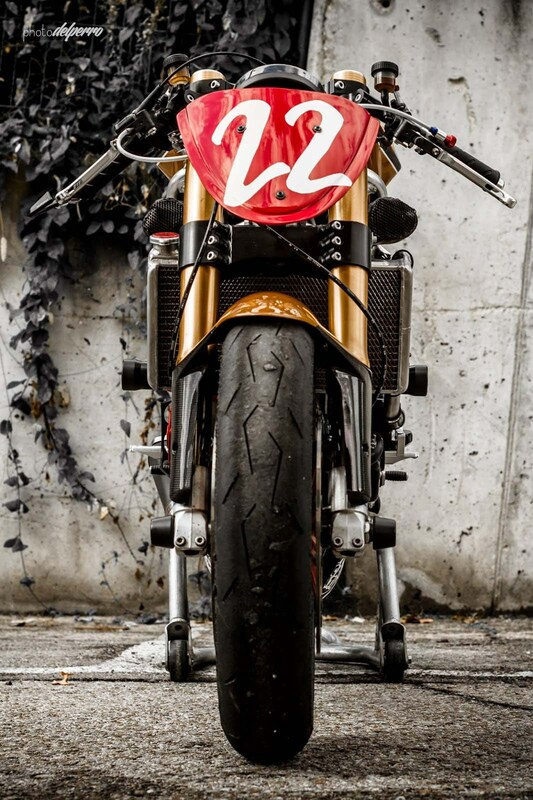 The list of modifications is extensive, you can find it below the pictures. 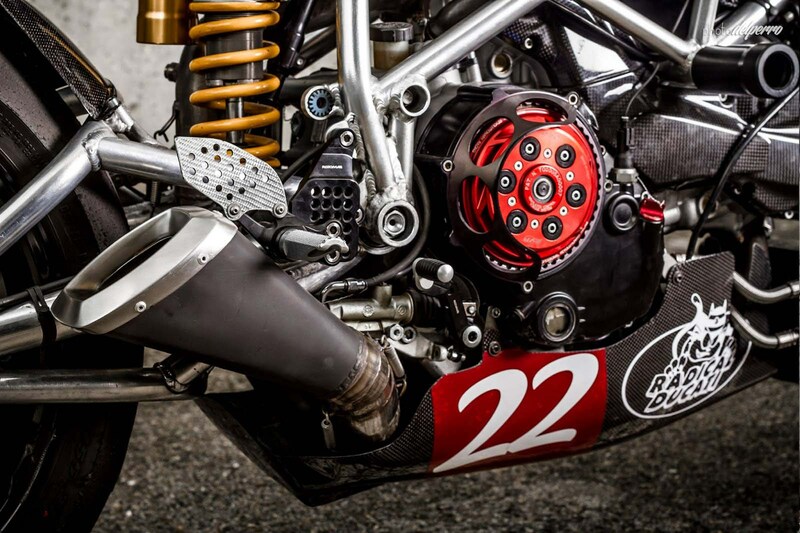 RAD 02 carbon fiber airbox with Jet Prime special air intakes with holders for injectors.